"We started about 25 years ago, working with the homeless, just directly serving sandwiches and kind of reaching out in the community," says Art from the Streets executive Director Kelley Worden, describing the early years of the organization founded by Heloise Gold and Bill Jeffers. "And as they connected and reached out, they brought pencil and paper ... and found out that there were some amazing talents living on the streets." In the years since, Art From the Streets has used art as a sort of therapy for Austin's homeless population, and also as a way to help them earn a little money. Artwork created by the artists in the program is sold online and at an annual Homeless Art Show and Sale, with 95 percent of the proceeds going to the artists. Crystal Mayes has been creating art with the program for about five years now. "I had always been in art, off and on, but it was just a hobby," Mayes says. "I had taken some classes in school when I was younger. At the time I was staying at the Salvation Army, and a couple of artists from there invited me over to the class and that's how I got involved." She's been painting ever since. "I started doing landscapes, and from time to time, abstracts," she says. Mayes will be one of the dozens of artists showing works at this year's art show, which is this weekend at the Austin Convention Center. "We love having each of them there," Worden says. "Everybody wants to hear their story. It's just kind of a showcase." "It's a fantastic opportunity," Mayes says. "It gives us an opportunity to show our work and also inspire one another and motivate one another to keep going." 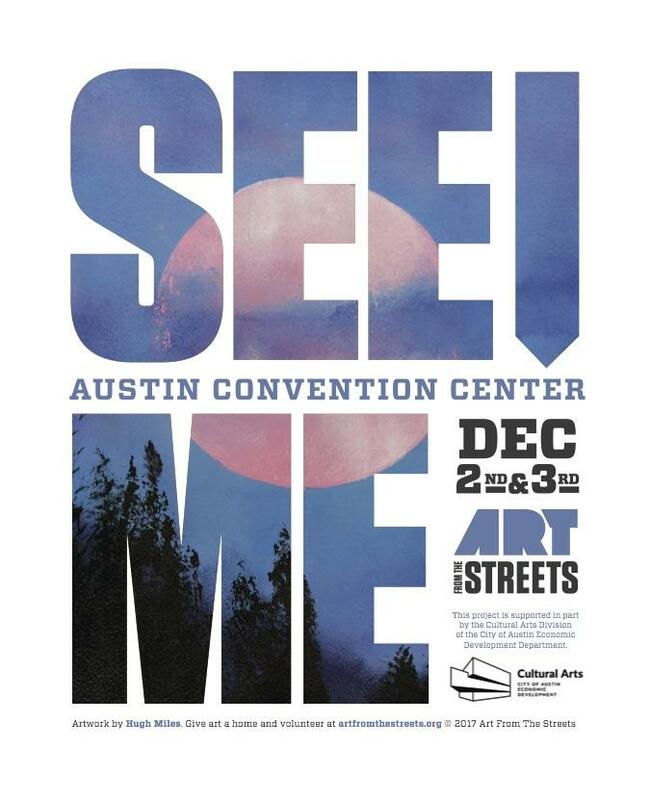 Art From the Sreet's 25th annual Homeless Art Show and Sale is Dec. 2 and 3 at the Austin Convention Center. 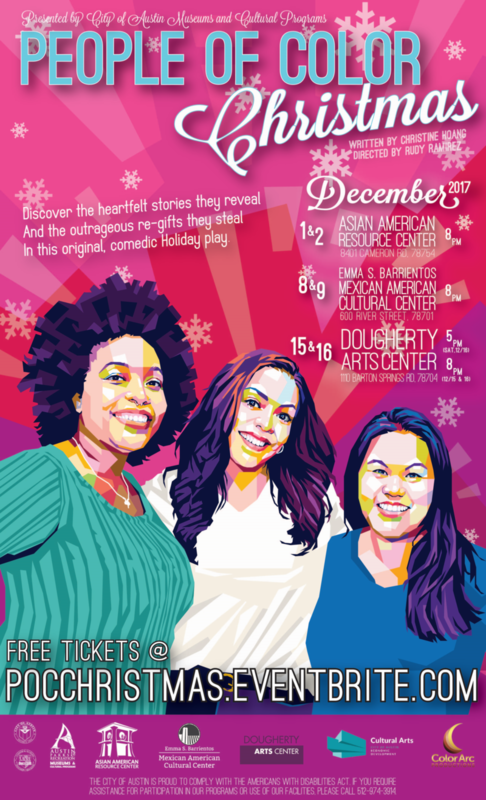 "The very first play I ever wrote, in 2015, was -- it's a long title -- People of Color Christmas: The White Elephant in the Room," says playwright and actress Christine Hoang. That show only ran for one week ("Because that's all I could afford," Hoang notes), but that was long enough for the show to catch the eye of some folks from the Asian American Resource Center, which eventually led to a revival of the show this year, sponsored by Austin Museums and Cultural Programs. "So now, this year... ColorArc Productions is presenting this new iteration of People of Color Christmas to Austin audiences for free," says Hoang. "And we are touring the cultural centers of Austin." "I learned about Buster Keaton while I was studying for film composition, and I just kind of fell in love with him and with silent films," says composer Jackie Myers, who's brining her new project Silent Films Out Loud to the Stateside Paramount Theatre this Saturday. "You watch a movie now and you think 'there's a team of ten people that created this moment, and it's also a camera trick, and it's also lighting,'" she says. "But you watch his films and you're like, 'it's just him.' It's him that created -- he wrote it, he acted in it, and physically he made it happen." 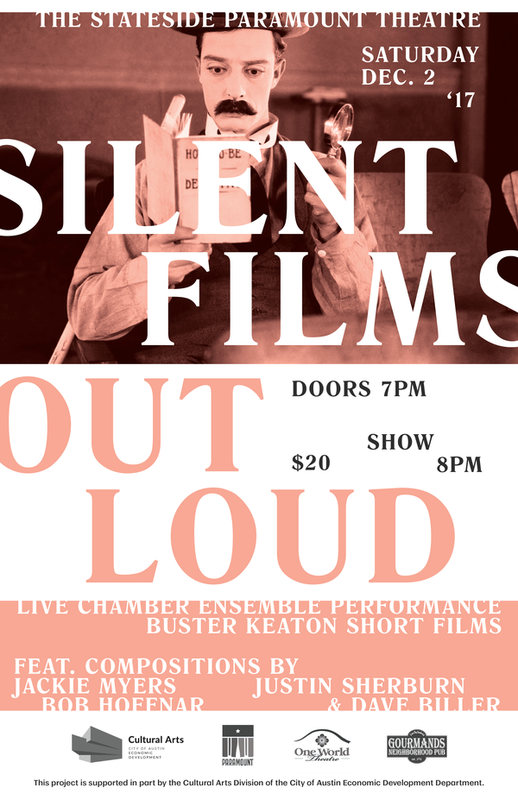 That love of silent films in general and the films of Keaton in particular led Myers to create Silent Films Out Loud, for which she's tapped four local composers to create new, original scores for four classic Buster Keaton short films. 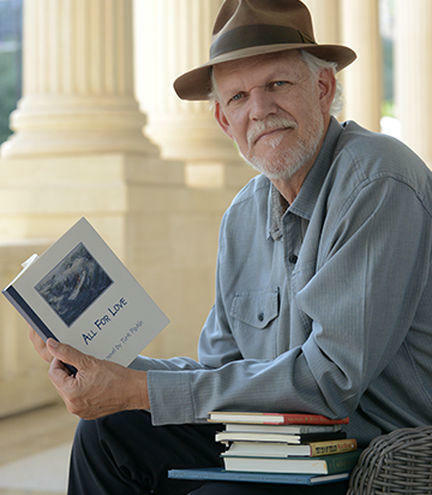 "It is crazy," Turk Pipkin says of his ambitious new project, Turk Pipkin's Book of the Every-Other-Month Club. As the name would imply, everyone who joins the club gets a new book in the mail every other month for one year; the crazy part is that all of the books are written by Pipkin himself, and some of them aren't quite finished yet. "As we talk, we have the first one, Moleskin Mystery, back from the printer, hot off the presses. You could get high smelling the glue in the binding," Pipkin says. "The second book, Requiem for a Screenplay, went to the copy editor yesterday. The third book, All for Love, which is a novel... goes to the copy editor as soon as the second one's done. So I'm good on those three," he says with a laugh. The other three are in various stages of completion -- he's still writing the last book, A Christmas Song. But Pipkin assures us he's ahead of schedule.